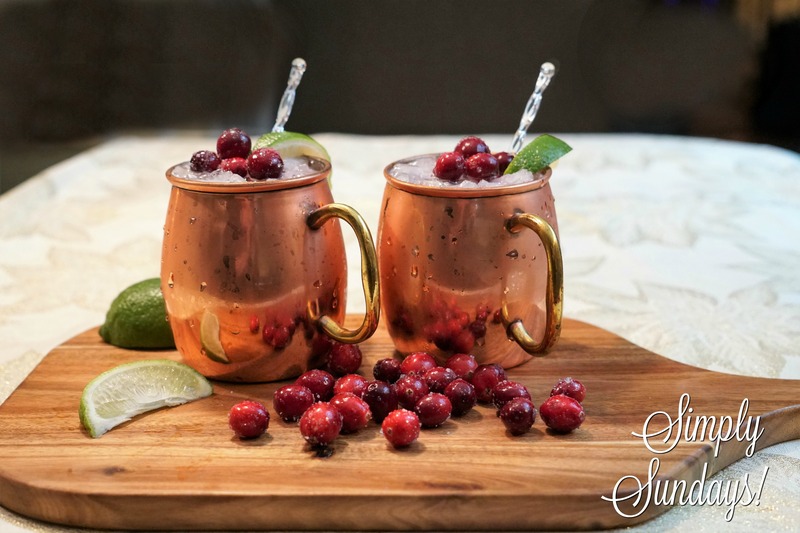 Cranberry Moscow Mule – Simply Sundays! This festive cocktail is just perfect for a holiday gathering! A twist on the traditional Moscow Mule by adding cranberry juice, this refreshing drink is sure to bring some cheer to your party!